Premium French Calf leather modular notebook with cut corners, durable elastic strap, bookmarks, pockets for random notes and business cards, an adjustable penholder and a variety of refillable paper. Whitebook Slim fits in every pocket. 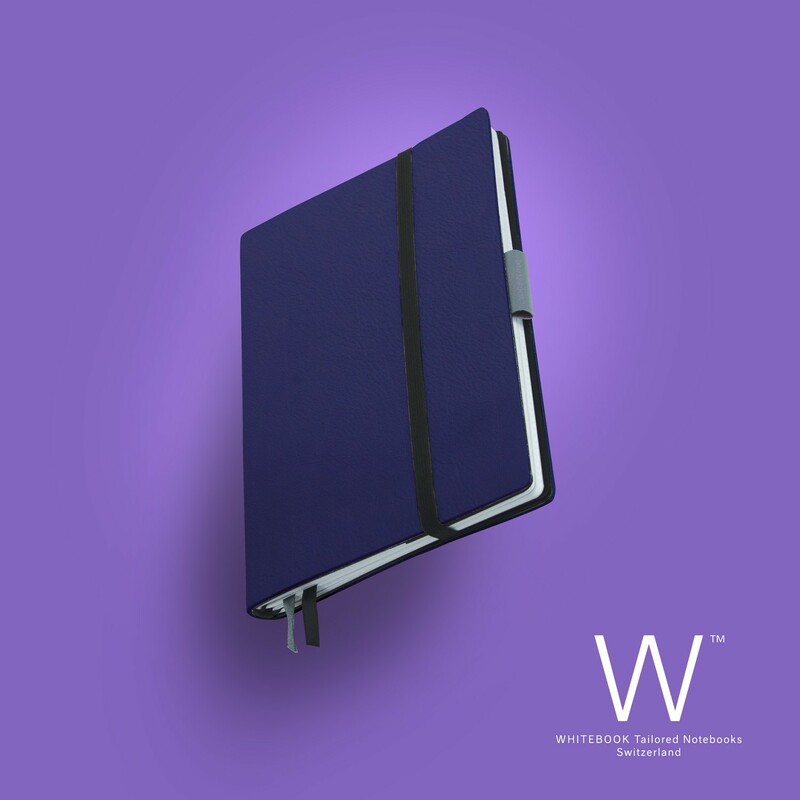 Simply customize and refill your Whitebook Tailored Notebook with paper styles of your choice. A variety of Whitebook cahiers/journals as well as Whitebook agendas/planners are available online and in-store. Include your tablet computer: Take out one Whitebook journal and insert your tablet with the corner straps in the back cover. Depending on the size, Whitebook can hold your Apple iPad, iPad Air, iPad mini, Samsung Note, Google Nexus, Amazon Kindle, or other electronic device of your choice.